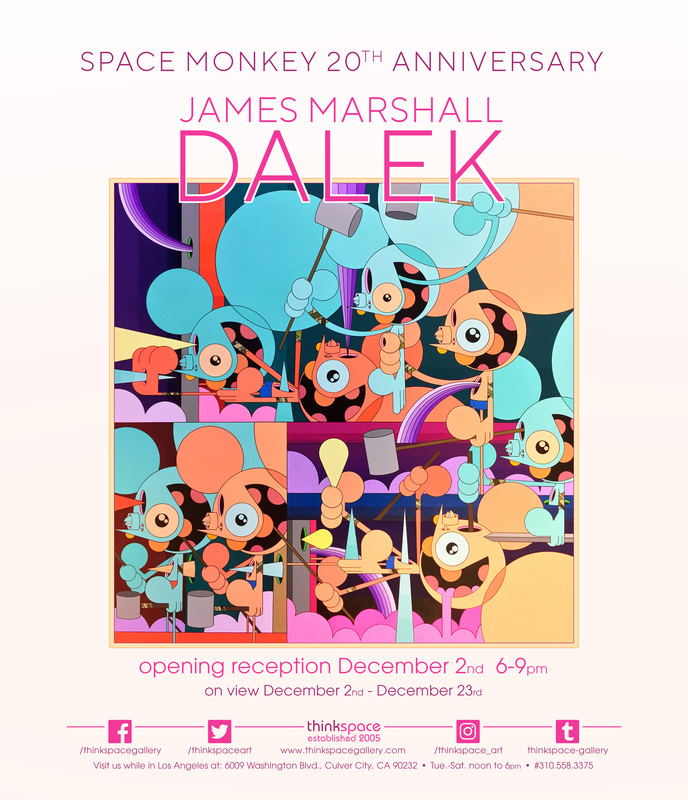 (Los Angeles, CA) – Thinkspace is pleased to present The Space Monkey Returns featuring new works by North Carolina-based artist James Marshall. Also known by his mutant cyborg epithet “Dalek,” an ode to the classic sci-fi British series Doctor Who, Marshall is most widely known for his iconic character “Space Monkey,” who first appeared in his early graffiti work in 1995 and was to become a mainstay of the artist’s imagery. Dedicated to the Space Monkey’s unexpected reprieve from a decade-long hibernation, this special exhibition features old, new, and rare works, revisiting the deranged rodent and the extraterrestrial mutant handler namesake that started it all.